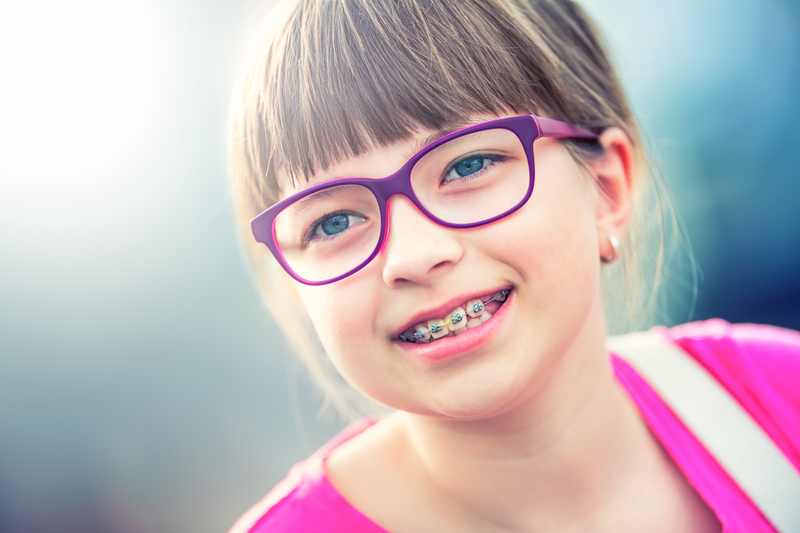 5 Ways to Make Braces More Comfortable - Adelberg Montalvan Pediatric Dental PC & Orthodontics too! Braces require an adjustment period. The brackets may feel strange against your lips and tongue, and your bite will feel different as your teeth straighten into position. As a result of these changes, we also know that whether you just received braces or you recently have them tightened, you may feel some soreness and sensitivity. Don’t worry, this is common (and it will go away)! In the meantime, here are a few ways to ease discomfort and make your braces a little bit more comfortable. Drink Plenty of Water – Staying hydrated is essential for good oral health. Don’t forget to drink plenty of water — adding a few ice cubes will help numb your mouth and reduce inflammation. Eat Cold Foods – Just as cold water can ease your pain, so can cold foods. Try drinking a chilled smoothie or having a bowl of ice cream. Just be sure not to bite into anything frozen, as you can hurt your teeth and break off your brackets. Rinse with Salt Water – Rinsing your mouth with salt water can help ease discomfort and reduce inflammation in your mouth. Mix about half a teaspoon into a glass of warm water and rinse for about thirty seconds. Stick to Soft Foods – After your braces have been tightened, your teeth may feel sore. Stick to soft foods like yogurt, mashed potatoes, soup and smoothies if you are feeling discomfort when chewing. Use Orthodontic Wax – This is one of the most common and easy ways to protect your lips and tongue against the sharp edges of your braces. Just break off a piece and rub it onto the area that is sore. The wax will serve as a protective barrier between your lips and your braces. Just remember to take the wax off before you brush your teeth. At Adelberg & Montalvan Pediatric Dental and Orthodontics, our doctors are excellent in treating and recognizing early or interceptive orthodontics. If you think that your child may benefit from braces, or you have any questions about how to care for their teeth with braces, do not hesitate to reach out to our office. We are here to help keep your child’s teeth beautiful and healthy!